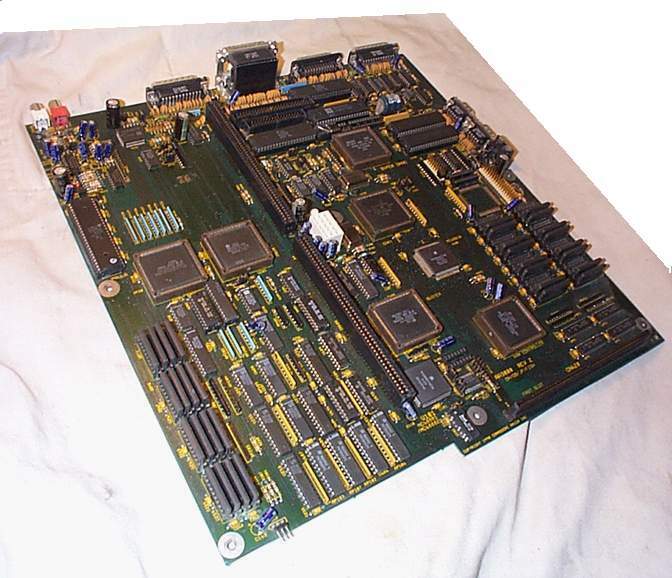 This is one of those Amigas that never was. The Amiga 3000+ was my followup to the Amiga 3000. 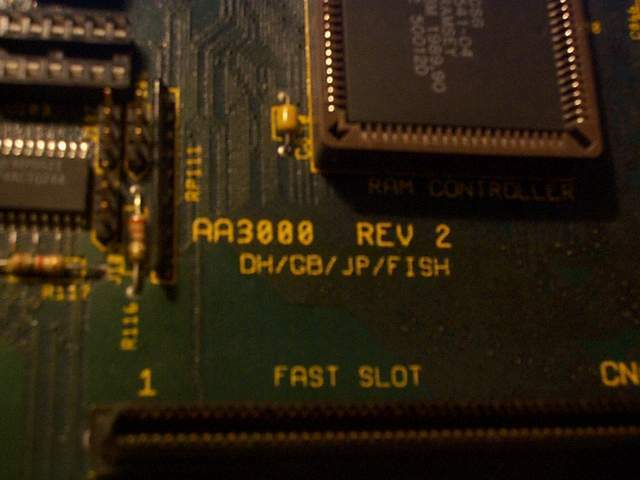 We actually had a "Rev 0" (which is why this is the Rev 1), which was kind of made for experimentation. The Rev 0 board was based directly on the Amiga 3000, but with a bunch of stuff added. 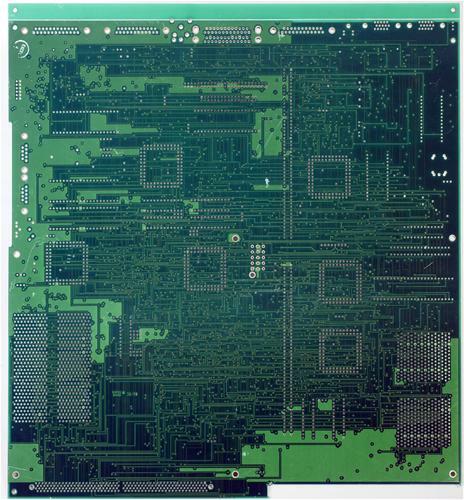 Firstly, that was the Pandora chipset (later "AA", even later called "AGA", once the marketing people got their grips on it). 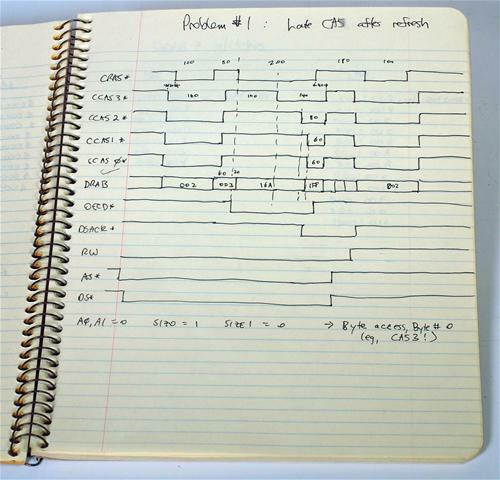 The Rev 0 was up and running AmigaOS in February of 1991, though you needed some custom copper lists and code to get a color display -- I was probably the first person to actually write any code for that chipset: I made it do color bars with smooth(ish) color transitions, thanks to the (finally) 24-bit color pallette. 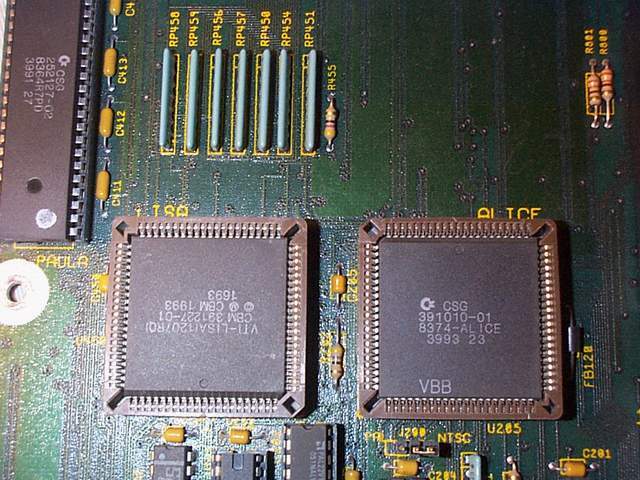 Of course, the AA chipset went on to get released in the Amiga 4000, Amiga 1200, and the CDTV. 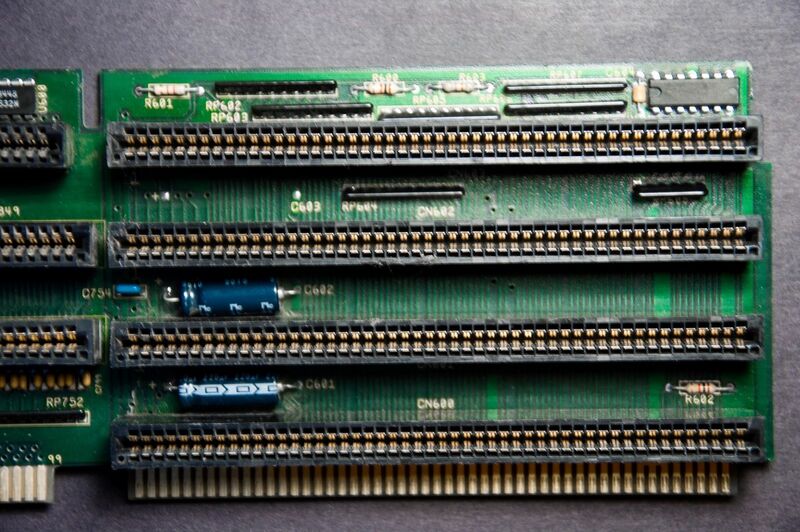 The other new feature in the A3000+ was a DSP subsystem. 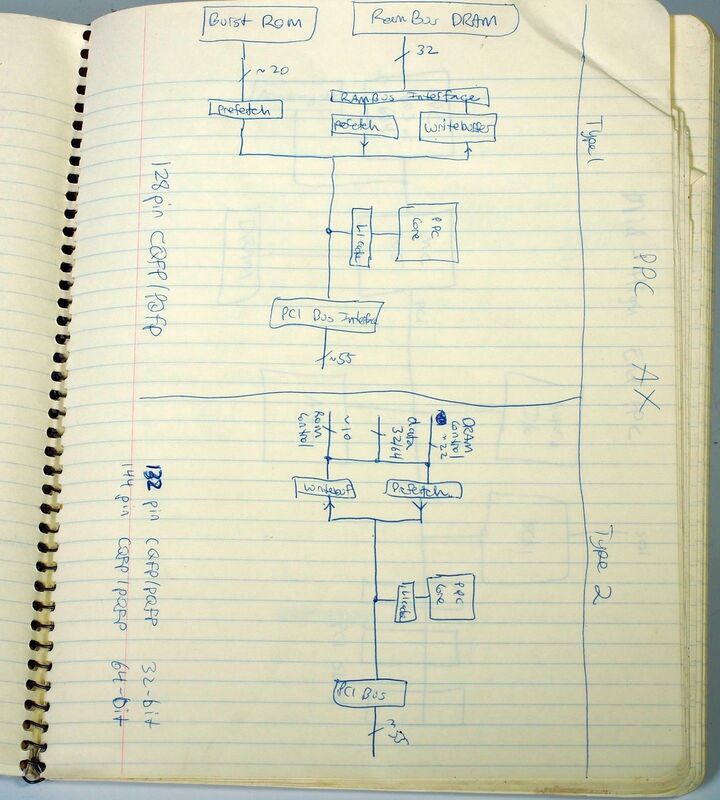 In late 1990, Jeff Porter and I took a trip out to AT&T in Bethlehem, PA. 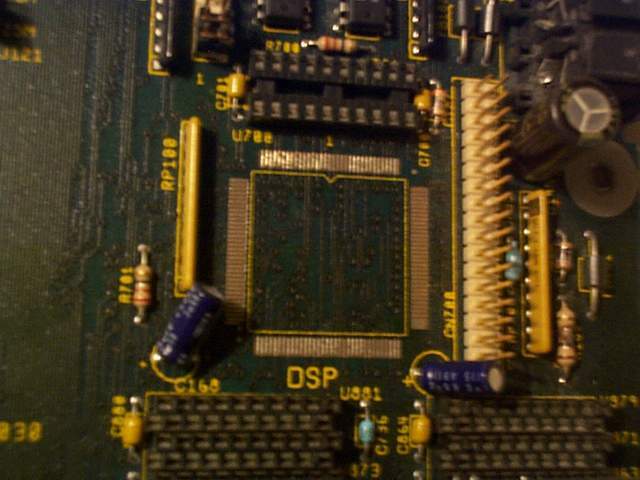 They had this new DSP chip, the AT&T DSP3210, that they were selling as a replacement for a whole board of electronics. 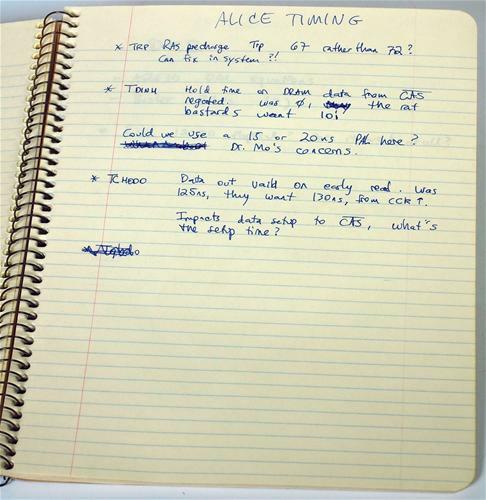 We didn't want it for that -- we wanted it for a general purpose signal computing engine. 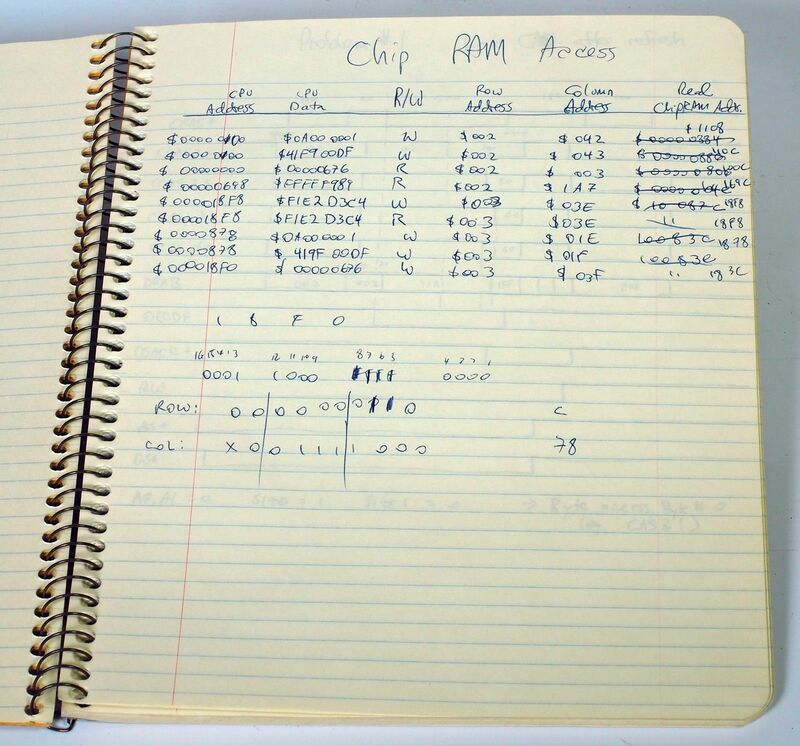 They had an OS, called VCOS/VCAS, which was kind of a perfect match to interface to AmigaOS, which would have allowed multitasking of DSP work, something you didn't get with the typical DSP of the day. 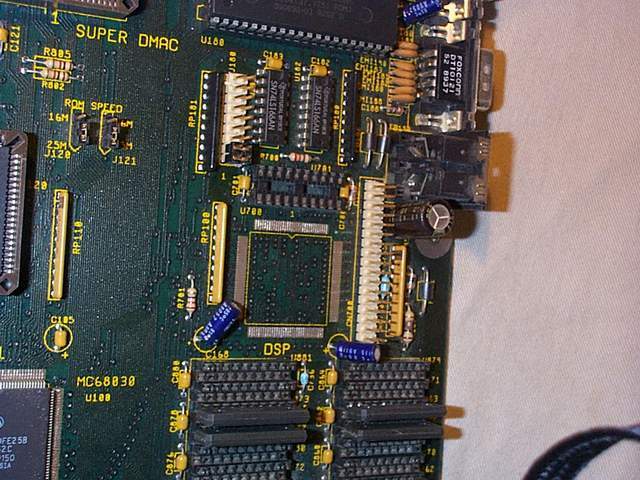 The DSP3210 could do some floating point operations (single precision only) ten times faster than the 68040. So anyway, the A3000+ had this chip -- which lived in the system as a bus master, sharing all of memory with the CPU slot processor -- and as well, two audio CODECs. 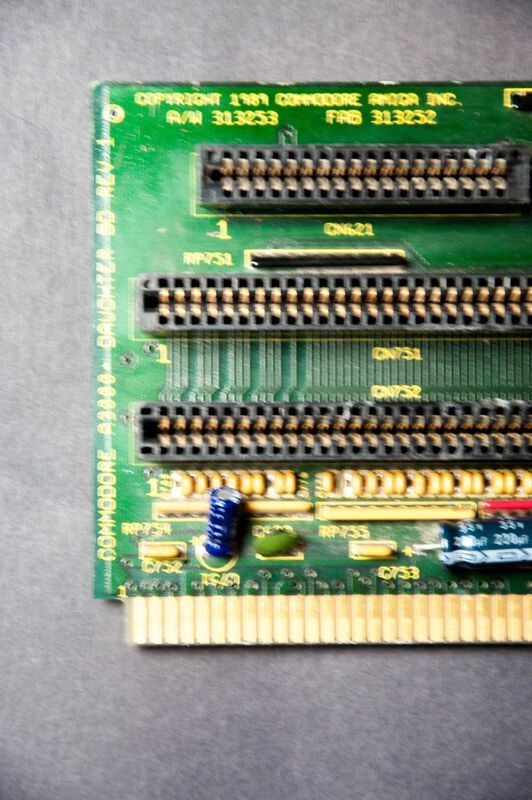 One was for modem projects, a lower bitrate mono CODEC with phase correction, and the other was a 16-bit, CD-quality audio CODEC, for high quality audio I/O... the DSP would have been able to give us at least eight channels of playback at full CD quality. So anyway, much of this stuff was prototyped on the Rev 0 board. We decided to make the Rev 1 board use some surface mount technology. That was a new thing, but getting important, even for prototyping. At Commodore, it was pretty common to build prototypes in house. For through hole boards, this mean snapping the board in a frame, placing every part by hand, flipping it over, hand soldering -- this was one reason we had full-time technicians in the West Chester labs. But by the 1990s we had an in-house "pick and place" machine -- a kind of robot that could place components automatically on a PCB, once it had been trained for that PCB. So this Amiga 3000+ Rev 1 was one of the very first SMT boards done at Commodore. But then, kind of a series of disasters. As many Commodore followers may know, by 1991, Mehdi Ali -- a former money and hatchet man for Prudential Investments -- had been appointed President of Commodore International. He went after the various divisions that fell under CIL, putting his people in place to make them easy to control, and in early 1991, it was Engineering's turn. He kicked out Dr. Henri Ruben, former VP of Engineering at Commodore, and replaced him with William Sydnes. Sydnes was a long time industry guy with two claims to fame... or perhaps infamy. 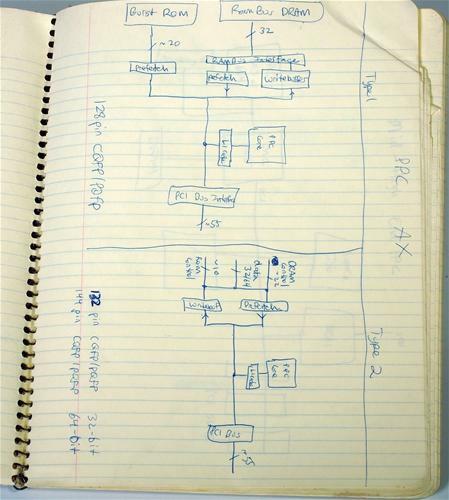 He was the head manager on the IBM PCjr project, and the guy who, while at Franklin Computer, oked their basically just Xeroxing the Apple ROM for Franklin's Apple ][ clone. So Sydnes comes in and puts Jeff Frank, one of the engineers on the little bit of PC Clone work still done at Commodore, in charge of New Product Development -- Jeff Porter's job. Frank wouldn't pay for stencils for the A3000+ build. If you're not familar with surface mount technology, the solder that's put down on a board is basically silkscreened onto the PCB, like ink. That silkscreen is called the stencil -- it's a metal template with controlled thickness and holes where the sold paste goes through. So our techs did their best to paint the solder on by hand -- and you can see the complexity of this board (I shot it in "high resolution" mode on my OM-D digital camera, hopefully eBay doesn't crush it too much). 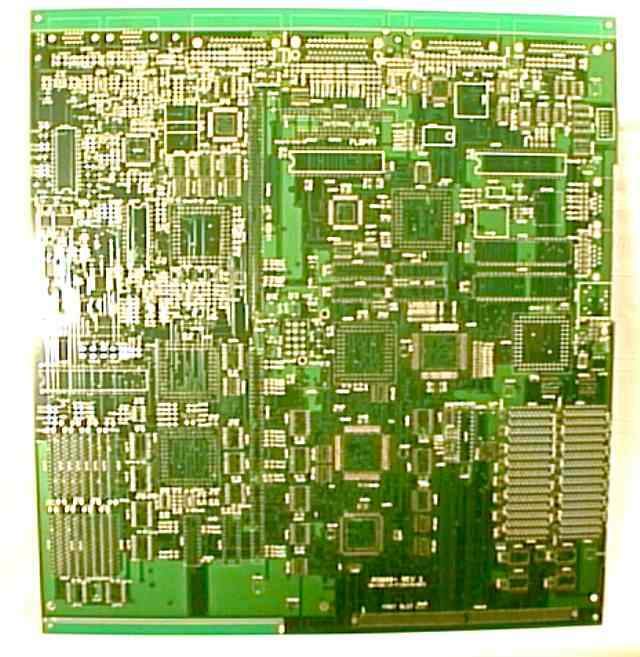 Then the pick & place puts down the parts on that solder, then it goes through a "reflow oven", which is basically just a big, very carefully regulated oven with a conveyor belt going through it. We didn't know this either up front, but this board was a bit too big for the oven we had down with the pick & place machine in West Chester. 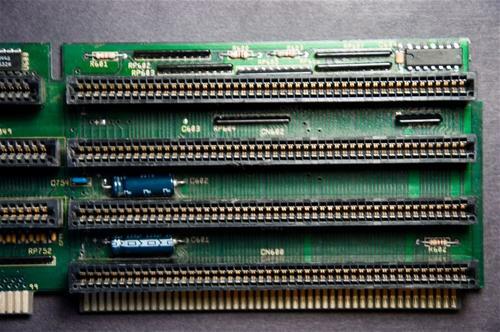 So I got these boards back, and had to go over them around the edges, looking for parts that didn't solder, a few that fell off. Then the real fun started. I found short circuits. Here, there, everywhere. 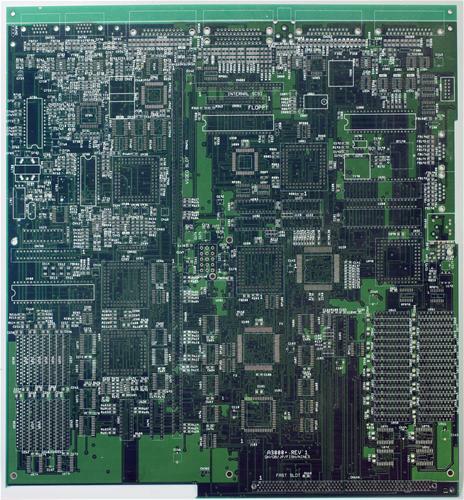 All kinds of problems due to the solder paste application. This was really a Rev 2 design, most of the bugs were worked out, and yet, after nearly a month, I still couldn't get the thing to work. 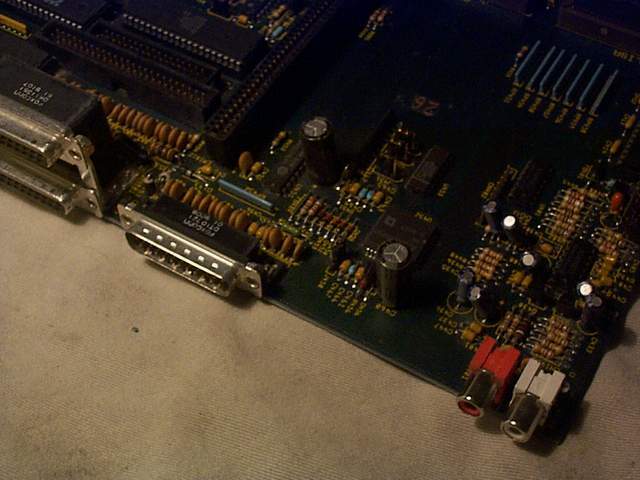 Traces were coming off the board (we built up two of them -- each one did things a little differently, thanks to these problems), it was mess, and we really needed to have more AA boards for development. 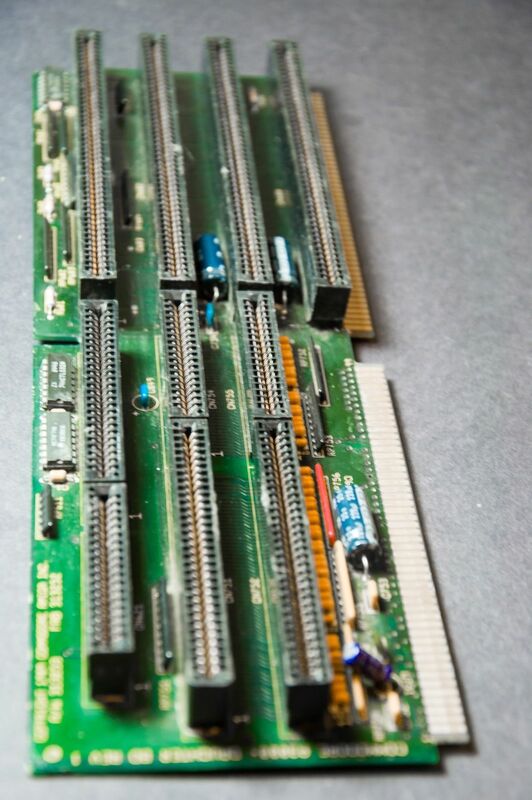 So this auction is all I got left of the A3000+. Great design, some great memories mixed with a number of real horrors -- it was that experience in 1991 that convinced me Commodore, if left to these clowns, was not going to last. Wish I hadn't been right. 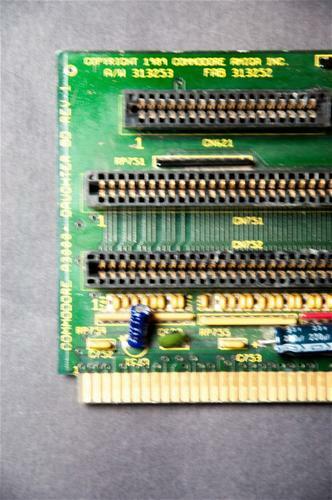 Anyway, this is that Rev 1 blank board, I don't know if any other examples have survived, but I kind of doubt it. Included are two of my notebooks from the A3000+ era... don't get too excited about those. 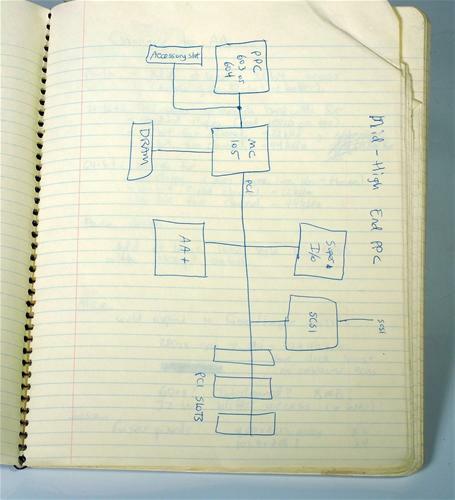 I didn't always keep good notes in those days -- it pretty much all fit in my head back then. So these are mostly blank, but not entirely. I've been putting a few of these old notebooks in with other items that sold during this auction run, if I had written something that was somehow related to that thing that sold. 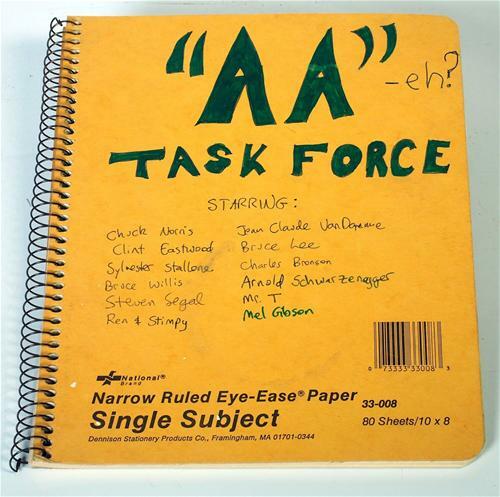 One of the covers is kind of funny... basically, in order to slow down the advance of the AA chipset (we were supposed to be shipping the Amiga 3000+ in April of 1992, originally), the new management formed the "AA Task Force", which met something like once a week to report on the chips and basically just say stuff still worked. No major bugs -- there had been a couple I found, chipset bugs, but I was able to fix them externally. So anyway, at every meeting I added one more member to my personal task force, the one that in my imagination was going to come in all action-hero-like and obliterate any evidence there had ever been an Ali or a Sydnes. So that explains that cover, which you can see in the photos. Stupid stuff, but there it is. 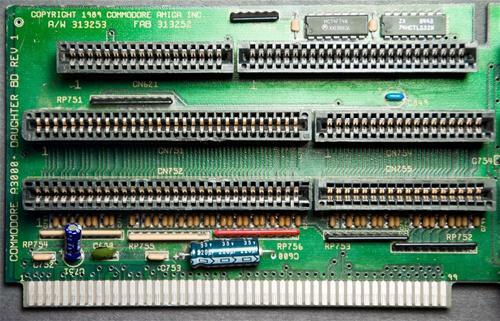 The blank board is a blank board for the Amiga 3000+. Two were actually built up. Neither worked, due to the solder issue. Later on, there was a different design, which I called the "AA3000", that stripped some of the good stuff out of the A3000+ design, because we needed a AA chipset prototype for developers, and that's all that management would allow. 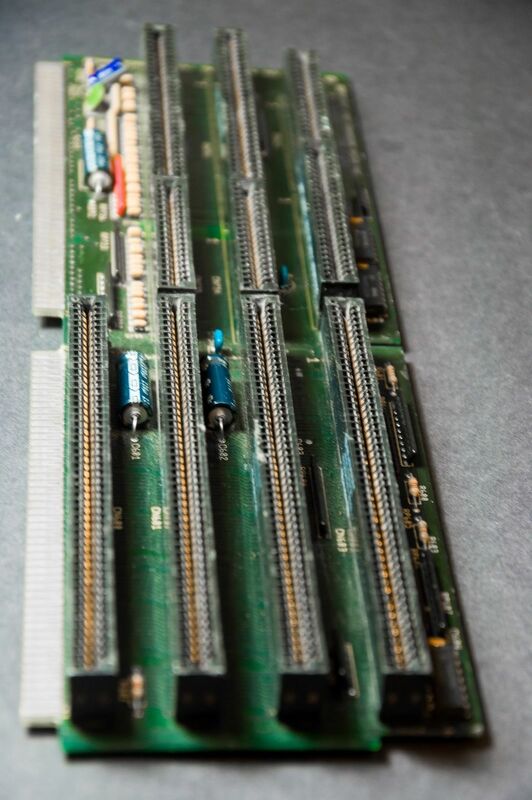 These were distributed mounted on standoffs on plywood sheets only -- the new management would not allow any to be put into A3000 cases, and anyone caught with one in an A3000 case was subject to big problems. 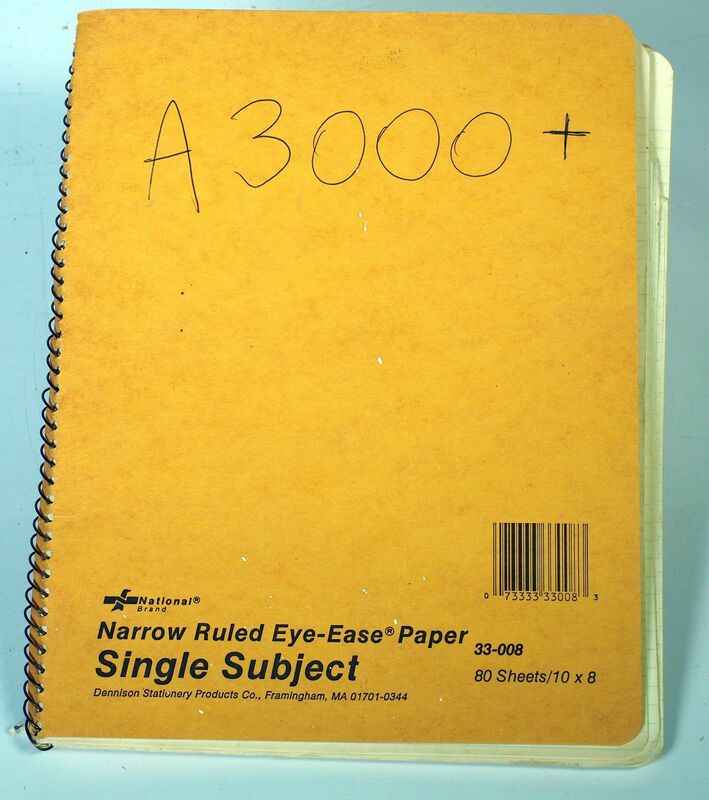 They were trying to kill the idea of a proper A3000 followup as a real product. 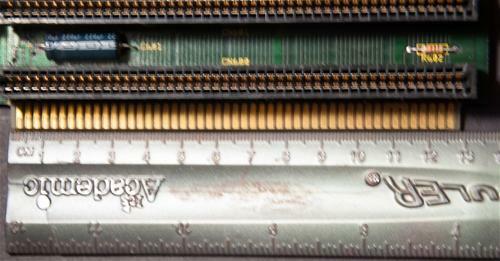 The A4000 that you all eventually got was something different: SCSI stripped out, no DSP, no CD-quality audio, etc. Page contributors: Dave Haynie, Jan Pedersen, Steen Jessen.